Sadly the funding available will only allow for pilots across a small number of areas and in order to maximise this investment they intend to focus on areas believed to be absent of indoor 3G and 4G coverage from “any” Mobile Network Operator (MNO). “This is to ensure our finite funding is targeted at the most isolated of areas with regards to mobile data connectivity … Whilst we will not be able to cover all not-spots identified by this process from the funding available, this process is vital to ensure any investment does not duplicate current and future private and/or community sector efforts,” said the consultation document. 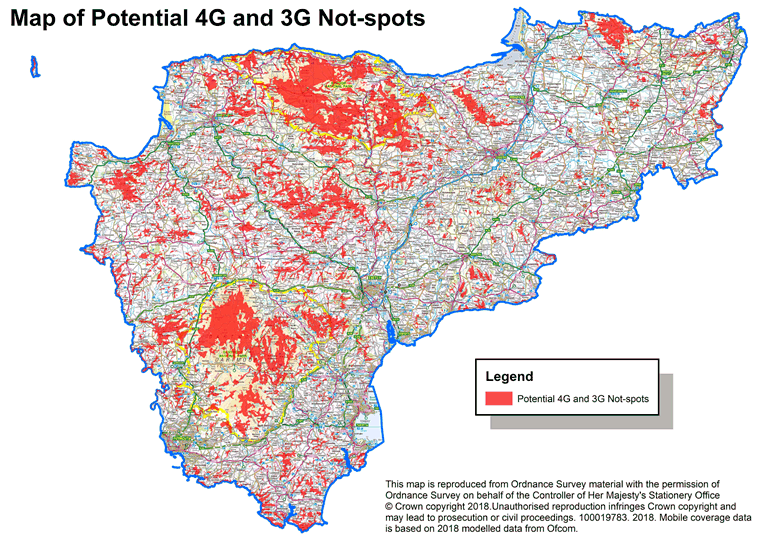 Devon County Council has mapped areas believed to be absent of indoor 3G and 4G coverage from any provider (see below). The map is very rough but based on modelled coverage data underpinning Ofcom’s latest update to their 2017 Connected Nations Report. The deadline for responses is 31st August 2018 and the project is being supported by the Heart of the South West Local Enterprise Partnership (HotSW LEP). 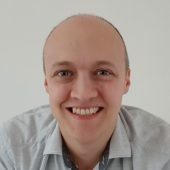 Why does the notspot map only extend as far north as the Somerset border? I imagine it has something to do with the focus on LEP coverage within HotSW LEP but you’d need to ask them directly. At any rate £2.5m isn’t going to solve a lot of notspots. It is to do with the HotSW LEP. North Somerset is part of the South Glocs/BANES/Bristol LEP.